Fry’s Electronics Carries EVERKI’s Beacon 18.4” Laptop and Console Gaming Backpack - All Fry’s retail locations to carry EVERKI’s unique laptop backpack with Xbox 360/PS3/Wii console gaming sleeve. 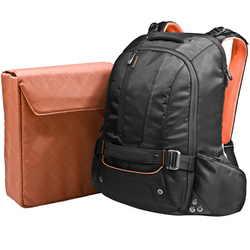 Everki, makers of mobile lifestyle products designed to carry and protect digital equipment, today announced that its popular Beacon Laptop Backpack w/Gaming Console Sleeve (Model: EKP117NBKCT) is now available at all of Fry’s Electronics retail locations. “We wanted to partner with Fry’s because their customer base is ideally suited for the Beacon," said Vyrio Ngo, director of sales at Everki. “We are excited to have our most popular design available for their customers before the holidays." Gamers will appreciate the Everki Beacon’s stylish design, and combined with the ability to carry laptops up to 18.4” as well as an Xbox 360, PS3, or Wii in an included protective gaming console sleeve, the Beacon is everything they could want when on the road. 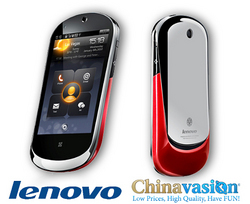 Unlocked Android "LePhone" Global Launch by Lenovo and Wholesaler Chinavasion a World First - When Lenovo's groundbreaking Lephone was launched at the 2010 CES conference many were disappointed that it would only be available in China. However China tech giant Lenovo is working together with unlocked Android leader Chinavasion to bring out the phone to everybody in the West for the very first time. Unlocked Android phone supplier Chinavasion is bringing China tech to the rest of the world this week with the global release of the Lenovo LePhone an Android superphone previously only available in China. Lenovo, the Chinese computing giant that purchased IBM in 2004, stunned the tech world in February this year by releasing an Android smartphone that had a beautiful AMOLED screen, quick responsiveness and a detachable keyboard. Aperion Audio Sets Home Theater Surround Speakers Free with a Wireless Plug and Play System - The Aperion Zona™ Wireless Surround Speaker System Lets Enthusiasts and Installers Put Surround Sound Wherever They Want It. Aperion Audio, a direct-to-consumer maker of award-winning home theater speaker systems, ushers in the Aperion Zona Wireless Surround Speaker System at CEDIA Expo 2010. Aperion’s Zona brings reliable audiophile-grade surround sound to speaker locations where running wires is unsightly, difficult or impossible. The Aperion Zona Wireless Surround Speaker System overcomes these challenges using proven digital wireless technology that connects automatically when turned on. Home theater enthusiasts and custom installers can simply place the speakers where they want, plug them into a power outlet and instantly play high-fidelity sound. PS3 BREAK Modchip - Revolutionary Brand-New PS3 Game Crack Product: Innovation PS3 Break Modchip for PS3 Game - Support PS3 Upgraded - The PS3 Break Modchip, a revolutionary brand-new crack product after R4, N5, DSTT, R4i, DSTTi, are being sold worldwide now at TOMTOP.com Online Shop. The PS3 BREAK Modchip, a revolutionary brand-new crack product after R4, N5, DSTT, R4i, DSTTi, are being sold worldwide now at TOMTOP.com. PS3 Break Modchip is powerful to break through all PS3 barriers, perfectly supports all games. People can find PS3 Modchip at China Electronics Wholesale website. The PS3 Break Modchip is currently the only Modchip on the market for the PS3 and it allows for instant gameplay of backed up games. Whether users choose to backup games onto their PS3 or onto an external hard drive, be sure they will work anytime and anywhere when using the one and only PS3 Break Modchip. 1. Upgradeable hardware firmware thoroughly. 2. The key “Upgrade” for software upgrading and avoids to be blocked by SONY. Users can also upgrade the updated software through computer. 3. Reading speed will be 2 times faster and it makes users to play more smoothly. 4. Games can be copied and saved to internal or external hard disk, in this way, the expensive blue-ray driver and disc can be abandoned. 5. Plug and play USB port, the installation will be finished in a few seconds. 6. Homebrew software is supported. 7. Simple and clear illustrations will guide you to install step by step. 8. 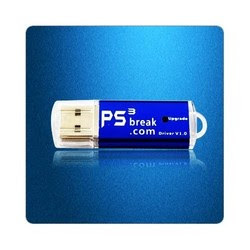 PS3 Break is compatible with all FAT and slim model. Celebrate the Successful Launch of World’s Smallest PC at OCOSMOS Media Party - After rave reviews from its introduction at IDF 2010, OCOSMOS is celebrating the launch of the world’s smallest computer, the OCS-1, September 17th at 1436 Polk Street in San Francisco at 5 p.m. Be one of the first journalists to preview the PC revolutionizing the market for mobile gaming and entertainment devices while providing the processing power and functionality necessary for business users. 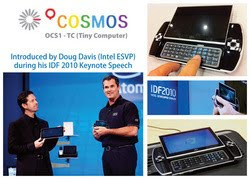 OCOSMOS Co., Ltd, a leading Korean innovator and developer of digital fusion technology solutions, is celebrating the launch of the world’s smallest personal computer and gaming device: the OCS-1 Tiny Computer (TC) at a post-launch party September 17th at 5 pm, 1436 Polk Street, San Francisco, CA. Be one of the first journalists to see the tiny computer that is revolutionizing both business and gaming mobile PC markets. Nikon Announces the D7000 DSLR - a More Powerful DSLR: BandH Photo will be one of the first retailers to stock the new Nikon D7000 Digital SLR camera designed to meet the needs of ardent photographers who demand outstanding performance, reliability, and unparalleled levels of control and versatility in a compact form factor. Nikon is also introducing two ground-breaking lenses. 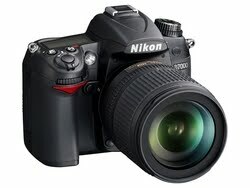 According to Nikon, the D7000 is engineered as an ideal balance of durability and functionality. It features a host of new enhancements and updated technologies, which results in spectacular photos and gorgeous full HD (1080p) movies. The D7000 contains a new 16.2 megapixel CMOS sensor with an unprecedented level of low-light ability in a DX-format (APS-C) camera. This is a camera that delivers superior image quality with low noise. The camera’s native ISO range of 100-6400 affords the versatility to photograph in challenging lighting conditions. The new Expeed 2 image processing engine powers the enhanced performance of the D7000 along with a new 39-point autofocus (AF) system and pioneering 2,016 pixel RGB 3D Matrix Metering System to deliver amazing image quality in a variety of shooting conditions. ASUS Republic of Gamers CG8490 Gaming Stations comes with Asetek’s 550LC Liquid CPU Cooler - Asetek Keeps New ASUS Republic of Gamers (ROG) CG8490 Gaming Station Cool in the Heat of Battle: ASUS Brings Users the Ultimate Gaming Station, Combining a Tradition of Performance with Uncompromising Reliability. 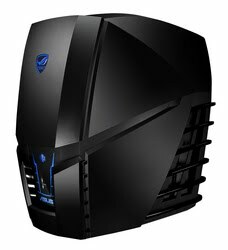 Asetek Inc., the world’s leading of supplier of OEM liquid cooling systems for computers, announced today that the new ASUS Republic of Gamers CG8490 Gaming Stations will be equipped with Asetek’s 550LC Liquid CPU Cooler as a standard feature. With the ROG CG8490, ASUS brings users the ultimate gaming station, combining a tradition of performance with uncompromising reliability. The leading-edge Asetek liquid cooling system and thermal design uses multiple oversized fans to remove heat quickly and give the system superior stability. JVC and Telecast Fiber Systems Unveil CopperHead ProHD KA-F790 Fiber Optic Transceiver for JVC GY-HM790 ProHD Camcorder - Telecast announces that it has established a relationship with JVC to provide CopperHeads for the JVC GM-HY790 ProHD Camcorder. The new CopperHead KA-F790 ProHD camera-mounted fiber optic transceiver is built to mount directly to the back the JVC GY-HM790 camera so it does not require external cables. Telecast Fiber Systems and JVC Professional Products, a division of JVC U.S.A., today unveiled the CopperHead™ ProHD KA-F790 camera-mounted fiber optic transceiver at IBC2010 in Amsterdam. Built exclusively for the JVC GY-HM790 ProHD camera, it is the first CopperHead to provide a direct connection to a camcorder without requiring external cables. The new KA-F790 will be demonstrated at IBC through Sept. 14 by JVC Professional Europe Ltd. (Booth 10.D41). Using a 68-pin connector on the back of the GY-HM790, the compact KA-F790 attaches directly to the camera body and enables broadcasters to leverage the GY-HM790’s full studio functionality in the field. It connects the camera via SMPTE hybrid (powered) or tactical (unpowered) fiber optic cable to a truck, control room, or “video village” position. Mobile Edge Makes Checkpoint Friendly Laptop Bags from Corn - Mobile Edge teams up with DuPont™ using their new material derived from corn making their new TSA compliant Checkpoint Friendly Laptop Bags completely Eco-Friendly setting the 'Green' standard for the laptop case industry. Mobile Edge, the industry leader in innovative and stylish laptop computer carrying cases and travel accessories has teamed up with DuPont™ and incorporated their new polymeric material Sorona® as the main material for their new ScanFast™ laptop cases. This pioneering material is produced partially with Agricultural Feedstock (corn stocks) that reduce greenhouse gas emissions by 63 percent when compared to typical petroleum based Nylon or Polyester production. 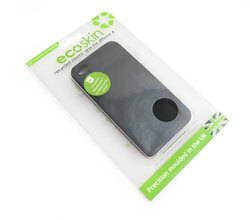 Anokimobi Launches ecoskin™ iPhone 4 Cover with Antibacterial Protection - A new iPhone 4 cover made in the UK from 100% recycled material and containing Biomaster® antibacterial protection. Anokimobi, the UK product company behind a number of eco-friendly and innovative phone accessories has just launched the iPhone 4 ecoskin™ - a precision-made cover produced in the UK from recycled high grade plastic and impregnated with silver ions to reduce bacteria levels on mobile phones. The ecoskin™ features the same Biomaster® antibacterial protection technology used in hospitals after a recent Which Magazine report highlighted the potential for mobile phones to carry high levels of bugs. Tom Tranter, Director of Anokimobi says: “Our existing e-pouch™ range of pouches and cases already addresses issues that our customers feel strongly about, being made from recycled plastic, organic cotton and bamboo. Visual Factor, LLC announces the release of iCarpus, an accessory for hands-free viewing of portable devices. Its simple, compact design supports devices of ALL BRANDS, with or without third-party protective cases. Its firm grip enables horizontal and vertical positioning without adjustments. The spring-clamp design and non-slip edges provide superior protection and surface grip. Also functions as a headphone caddy. It's one of the most common dilemmas for smartphone and mobile device users: switching from an old mobile device to a new one renders the old accessories obsolete, and requires entirely new equipment to work with the new device. iCarpus is a universal stand that can accommodate any brand of mobile device, and will stay with you through every upgrade. ePVision is now Offering Hottest Consumer Electronics HD Video Set Top Box, PHD-8VX, PHD-HM5 and PHD-205LE from Original Designer - This Truly Brilliant Cinematical Viewing Experiment comes from Full HD 1080p HDMI A/V Switcher and Digital HDTV Tuner Receiver Media Hub, PHD-8VX, PHD-HM5 and PHD-205LE. 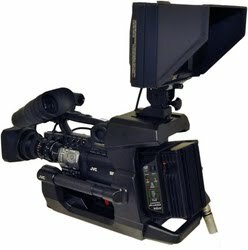 Now is hot selling from PrimeDTV web store, ePVision.com! (1) PHD-8VX, Full HD 1080p HDMI A/V Switcher and Digital HDTV Tuner Receiver Media Center. The best HD center box available today for home entertainment system with large screen TVs or HD projectors. Now $10 off discount coupon (code: 6X17K9XKEE8) available with on-line order from ePvision.com. (2) PHD-HM5, Advanced Network Full 1080p HD Media Player. Using top of line media processor chip. PHD-HM5 offers stunning video quality with local network capability and the best attractive price in its class. Now $10 off discount coupon (code: 6X17K9XKEE8) available with on-line order from ePvision.com. Creative Expands Range of Pure Wireless Speakers Even Further To Include the T12 Wireless 2.0 Speaker System - The Newest Addition to the Extensive Pure Wireless Speakers Family Delivers Seamless Wireless Audio with Excellent Bass Performance Like No Other Wireless Desktop 2.0 Speaker System Can. 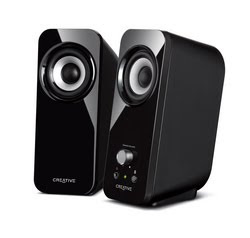 Creative Technology Ltd. today announced the Creative T12 Wireless speaker system, the latest addition to Creative’s Pure Wireless Speakers family. Slim, stylish and decked out in classic black, it is the natural choice for a hassle-free wireless 2.0 speaker solution. The Creative T12 Wireless speaker system is all set to expand the variety of wireless speaker solutions offered by Creative’s Pure Wireless Speakers range. 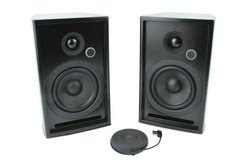 The Creative T12 Wireless speaker system will debut at the IFA 2010 in Berlin from 3 – 8 September 2010. 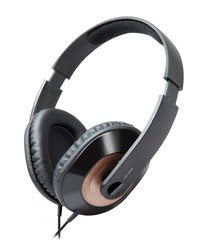 Creative Technology Ltd. today announced the Creative HQ-1450 headphones which will debut at the IFA 2010 in Berlin from 3 – 8 September 2010. 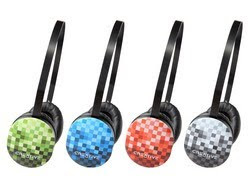 Inspired by the vibrancy of city life, Creative has designed the Creative HQ-1450 headphones in different patterned shades to reflect the colours in the city. Sporting earcups in traffic-stopping red, skyline blue, garden green or monochrome black in a lightweight, compact Supra-Aural design, the Creative HQ-1450 headphones are the perfect companion for the everyday city traveller. Simply connect the headphones to the Creative ZEN® player, the iPod or other portable media players for a rich, life-like listening experience. 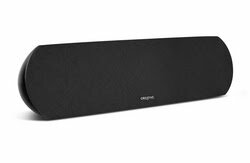 Creative, a worldwide leader in digital entertainment products, today introduced the easiest to set up and use whole-home audio system available on the market, including an incredibly elegant, yet cool D220W soundbar-styled speaker. “With the Sound Blaster Wireless whole-home audio system we designed and engineered an easy-to-use, whole-home audio system that streams music wirelessly in high-quality to any room of the home, that doesn’t have the drawbacks of other systems on the market, such as poor quality audio playback, and we wanted to deliver a complete system at an exceptionally low price. By using the Sound Blaster Wireless with your Mac or PC you can listen to your music library on your favorite player, such as iTunes, or your favorite Internet streaming program, like Pandora, without having to transfer your entire music library to a new system and new interface, as required by some other whole-audio systems,” said Steve Erickson, VP and GM for audio and video at Creative. Creative Technology Ltd. today announced the Creative HQ-1600 headphones which will debut at the IFA 2010 in Berlin from 3 – 8 September 2010. The Creative HQ-1600 headphones feature high performance Neodymium drivers that pump out impressive audio, an over-the-ear design for better acoustic isolation, and lightweight components for convenient mobility. While circumaural headphones are typically bulky and heavy, the Creative HQ-1600 headphones achieve high standards of audio quality and attenuation of ambient noise while still remaining light enough to carry around and wear for extended periods. With an adjustable headband and ear cups incorporating soft leatherette ear cushions, the Creative HQ-1600 headphones provide users a pleasant music listening experience they can enjoy in total comfort, be it at home or while on the streets.